The "Immortal Regiment" campaign commemorating WWII victory will take place in multiple cities across Russia as well as other countries on Monday, May 9. 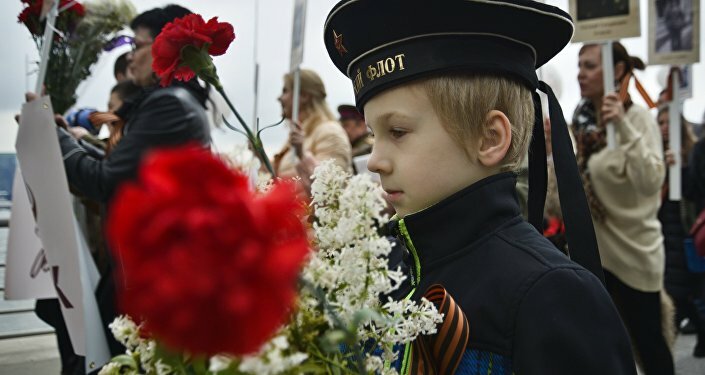 MOSCOW (Sputnik) — The "Immortal Regiment" campaign commemorating WWII soldiers will take place in multiple cities across Russia as well as other countries on Monday, May 9, celebrated as the Victory Day in former Soviet republics. 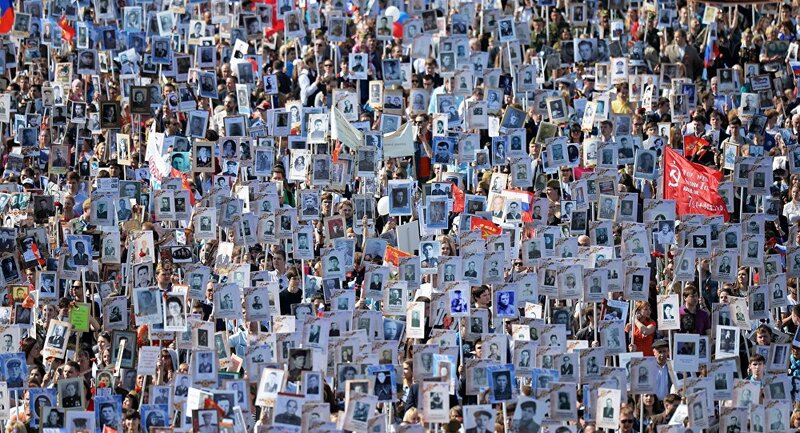 During the "Immortal Regiment" marches, people carry photographs of their ancestors who participated in the World War II. "The annual ‘Immortal Regiment. 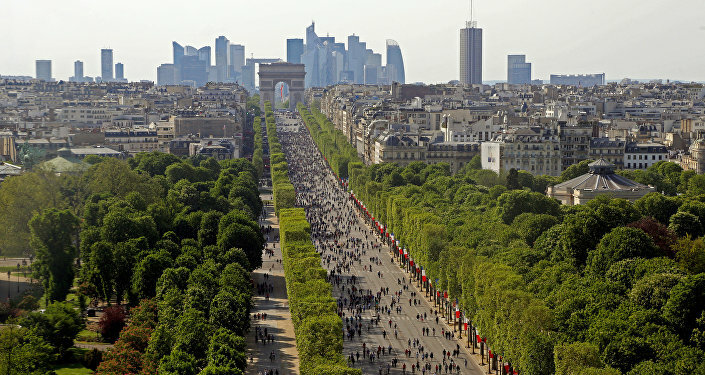 Moscow’ march will take place on May 9 after the Victory Parade in the center of the capital. Anyone is welcome to join the campaign and honor the memory of those who fought for victory in the World War II," the organizers of the event in Moscow said in an online statement. According to Alexander Kibovsky, the head of Moscow's Department of Culture, some 800,000 people will take place in the march in the Russian capital. Last year, hundreds of thousands of people took part in the event, including Russian President Vladimir Putin and Mayor of Moscow Sergei Sobyanin. This year’s march in Moscow will begin at 3 p.m. local time [12:00 GMT] and will see participants travelling several miles through the capital’s main streets. There will be medical assistance, food stalls and points of distribution of the St George’s Ribbons throughout the route. According to Nikolai Zemtsov, the co-chair of the "Immortal Regiment of Russia" movement, the Moscow marches have always been the biggest, yet this year the event in Russia's St. Petersburg will be able to compete with the one in the capital. "We shall have the French, and Americans [taking part], the Polish are expected to come," Zemtsov said. Kremlin spokesman Dmitry Peskov said last week he was not sure whether Russian President Vladimir Putin would be able to participate in the march like he did last year, yet would definitely support it. "Indubitably, on May 9 the president will voice his support to this civic movement," Peskov told reporters. The president himself said he would be there "in his heart." Some 12 million people have participated in the "Immortal Regiment" marches throughout Russia in 2015. This year, commemorative 'Immortal Regiment' marches are held in the United States, Canada, Germany, France, the United Kingdom, Spain, Switzerland, Estonia, the Czech Republic, Lithuania, and many other countries.